A great choice for an active little one. Our soft and stretchy Hooded Rompers are the ultimate wardrobe staple for any little girl. 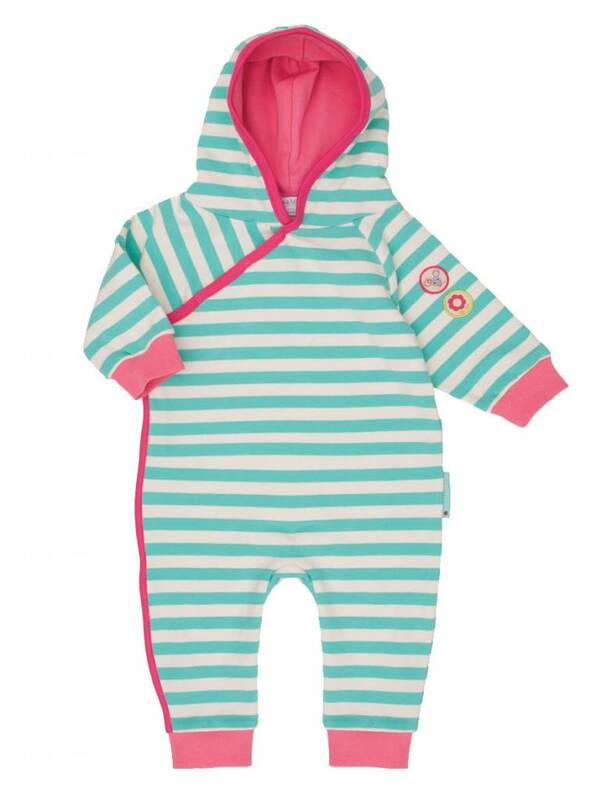 This turquoise and pink striped number comes complete with Margot and Mo character badges on the sleeve and bright pink ankle and wrist cuffs. It's soft, durable, and versatile, making it suitable to be worn over an outfit when out and about, or just as a comfy all in one at home.